There's an unexpected headline. Over 1,000 runners took part in the first marathon held there a few days ago; a 10km, a half and a full marathon. Most did the shorter races, the marathon was run by Palestinian athletes training for the London Olympics. The course says a lot - run from the border with Israel to the border with Egypt, exactly 42 km. Aside from hundreds of school children, the only woman running was one of the UN workers who organised the tournament. 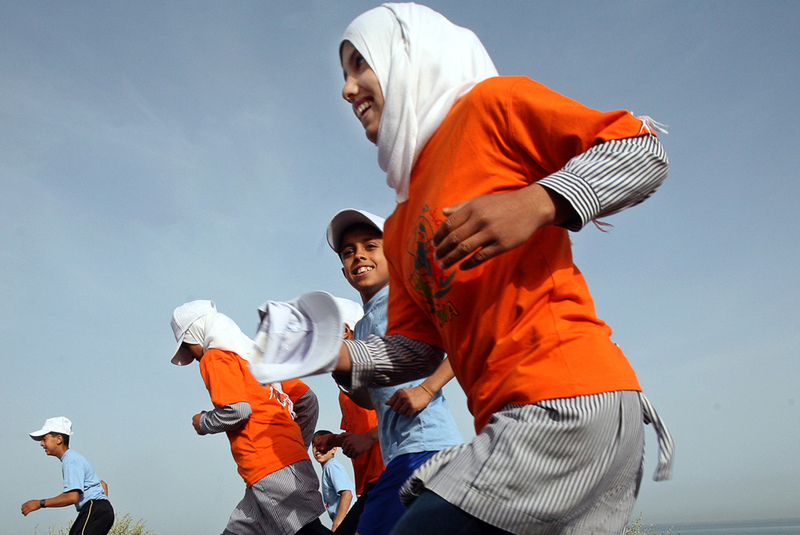 The race was run to raise funds for summer schools held every year for school children in Gaza. You can read more about how it all works here on the UNRWA site. @ Lisa - it is a great shot, makes a difference when the pros have the camera!